Jason Linder chairs the Global Investigations and Anti-Corruption practice. He returned to the firm in May 2017 after serving as a senior Foreign Corrupt Practices Act (FCPA) prosecutor in the U.S. Department of Justice. He represents corporations, executives and prominent individuals in sensitive, high-stakes internal and government-facing investigations across a wide range of business sectors. These include financial services and investment firms, healthcare, medical devices, life sciences, automotive and aerospace, manufacturing, transportation services, extractives (oil, gas and mining), entertainment, high tech, real estate and retail. Jason’s practice emphasizes white collar criminal matters and crisis management, including internal investigations, compliance counseling, transactional due diligence and defense of clients before government enforcement agencies around the world. He focuses on representing companies and individuals before the U.S. Department of Justice, U.S. Attorney’s Offices around the country and the Securities and Exchange Commission as well as other U.S. and international law enforcement and regulatory agencies. Jason also represents clients in matters involving data privacy and security, cross-border civil disputes, international arbitration, class actions and high-stakes litigation in federal and state courts. Jason brings to his practice extraordinary knowledge and experience acquired during a decade working as a federal prosecutor. Well-versed in criminal investigations and jury trials, he knows firsthand how prosecutors think, how they navigate a case and what they want to achieve. At the Justice Department, Jason led many of the most complex and cutting-edge investigations and prosecutions of international FCPA, securities fraud and money laundering matters in more than 60 countries, including throughout most of Asia and Latin America, concerning a broad array of industries. He worked with nearly every major U.S. Attorney’s Office and law enforcement agency in the United States, law enforcement counterparts around the world and multilateral development banks such as the World Bank and the European Bank for Reconstruction and Development. Jason directed dozens of white collar criminal investigations, resulting in some of the department’s most significant corporate criminal resolutions and convictions, including those against one of the largest technology companies in the U.S., a leading oil services company, a Brazilian jet manufacturer, a Chilean airline, a New York securities broker-dealer and a former high-level West African government official. Before joining the Justice Department's Fraud Section in 2012, Jason served as an assistant United States attorney in the U.S. Attorney’s Office for the Southern District of Florida. 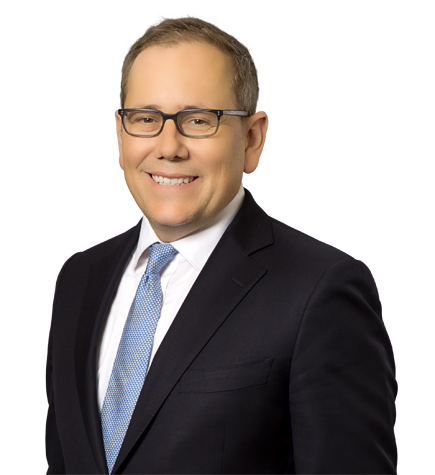 He was lead counsel in numerous jury trials and appeals and many other litigated matters including FCPA, money laundering and securities fraud cases. Conducting an FCPA-related internal investigation in Latin America for a large California-based publicly traded company. Represented an employee of a major financial institution in an internal fraud-related investigation and related civil litigation. Representing a China-based executive of a large California-based publicly traded company in connection with an FCPA investigation by the SEC and DOJ. Designed and implemented a compliance program for an entertainment studio to minimize risk arising from contemplated new content creation. Revised and implemented executives on an entertainment studio’s FCPA compliance program. Representing an attorney in DOJ investigations involving allegations relating to the FCPA, money laundering, Foreign Agent Registration Act, and fraud. Advising a private equity fund regarding FCPA implications of its investments. Serving as an expert witness on anti-corruption compliance programs for a major medical device company. Serving as an expert witness on corruption-related issues for a major real estate development company. Counseling a major pharmaceutical manufacturer regarding FCPA issues. Advising an international healthcare company on its anti-corruption compliance program. Assisting a major Los Angeles County company on an internal investigation relating to a cyber-hack, and advised the business on cybersecurity compliance. Representing an orthopedic surgery practice in an internal and government healthcare fraud investigation, as well as related qui tam and civil suits. Represented several executives of a Fortune 100 automobile manufacturer in a DOJ and SEC investigation into potential accounting fraud, securities fraud, wire fraud, and books and records violations, as well as the company's related internal investigation. Representing an executive of a German auto manufacturer in a DOJ and German law enforcement investigation into potential regulatory fraud. Jason's return to Irell as head of its Global Investigations and Anti-Corruption Practice in May 2017 received widespread media coverage in outlets including Law360, the Daily Journal, The Recorder/American Lawyer Media, Global Investigations Review, Bloomberg Big Law Business and the FCPA Report (subscriptions or registration may be required).